After all, he was one of the world's most iconic fashion designers, at the heart of not one, not two, but three fashion houses. The man who steered Chanel for more than 30 years combined artistic flair with business acumen which would see the Parisian label's sales reach $10bn (£7.7bn) in 2017. But Lagerfeld's brand reached beyond his business ventures and into every aspect of his life. He was instantly recognisable, thanks to his powdered white ponytail, dark glasses and high-collared white shirts. But then, what else would you expect of a man who once noted "anyone who wears jogging pants has lost control of their life". "I'm a walking label," he told CNN in 2011. "My name is Labelfeld not Lagerfeld." However, it seems a young Lagerfeld had no intention of staying in the country of his birth, having already got a taste for fashion - and a sense he might be destined for big things. "As a child, a very young person, I had the feeling: 'It doesn't matter what you do - you're compelling!' I thought I was sacrosanct - wasted on dismal post-war Germany," Lagerfeld told German media. In 1952 - having seen a Dior fashion show in Hamburg - the teenage Lagerfeld moved to Paris. Just three years later, he was named Jean Patou's art director. Then, in 1965, after a short stint with Chloe, he would begin a collaboration that was to last to the end of his life, with Italian fashion house Fendi. But it would be his role as Chanel's artistic director, beginning in 1983, which would truly thrust him into the limelight and create the fashion icon known for the next three decades. However, he acknowledged the brand's founder may not have been thrilled with the direction he took the label. "What I do Coco would have hated," he said. "The label has an image and it's up to me to update it. I do what she never did. I had to go from what Chanel was to what it should be, could be, what it had been to something else." According to his biographer, Alicia Drake, the death of de Bascher - who had cheated on Lagerfeld with his long-term rival Yves Saint Laurent - was followed by a period of weight gain and becoming infatuated with several young men. "I suddenly wanted to wear clothes designed by Hedi Slimane, who used to work for Saint Laurent and now creates the Dior Homme collections," he explained in The Telegraph in 2004. More collaborations followed - not least, one designing three different bottles for Diet Coke, his drink of choice. The collaboration's 2011 launch was a suitably glitzy affair, with Cosmopolitan reporting he was followed around all night "by a male model carrying a goblet of the drink atop a silver platter". Despite his advancing years, he kept up to date with the changes in the world of celebrity, embracing the likes of the Kardashians, while last year he released a capsule collection with Kaia Gerber - daughter of 90s supermodel Cindy Crawford. Selfies, however, were not something he could get on board with; "electronic masturbation" was his scathing assessment. Age also failed to blunt his sharp tongue and, at times, shocking views, including attacking Germany's decision to open the door to Syrian refugees, and slamming the #metoo movement in an interview with Numero. His pace of work did not slow up either, so when he missed a Chanel show in January - the first time he had ever done so - speculation began to mount over his health. 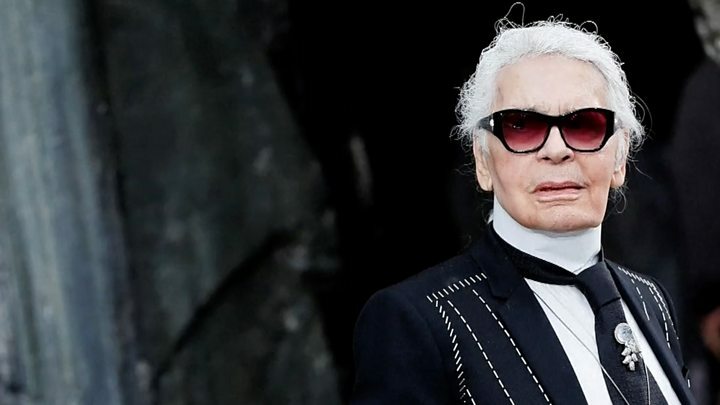 Lagerfeld's death was met with an outpouring of grief from the fashion world he had presided over for so many years. Many paid tribute to his genius and the legacy he was leaving behind. 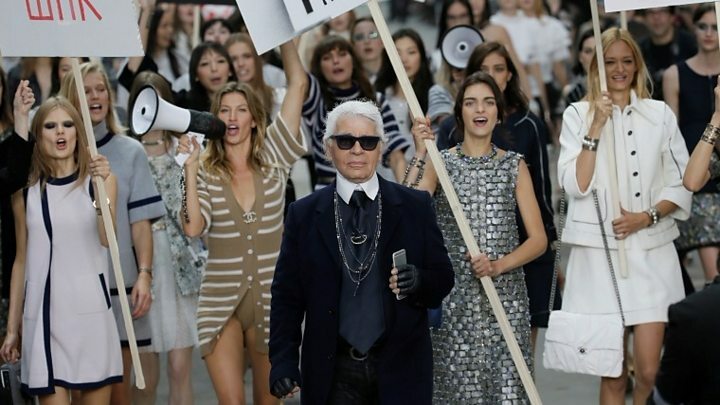 But, it seems, Lagerfeld was less impressed with his legacy than those paying tribute. Two months before his death, the octogenarian dismissed rumours he was writing his memoirs. "I have nothing to say," he said. "I'm actually trying to make sure that I won't be remembered."